Seamlessly connect your indoor and outdoor spaces with our elegant and sophisticated bi-fold doors. Get security, performance, and style with our stunning aluminium and uPVC doors. 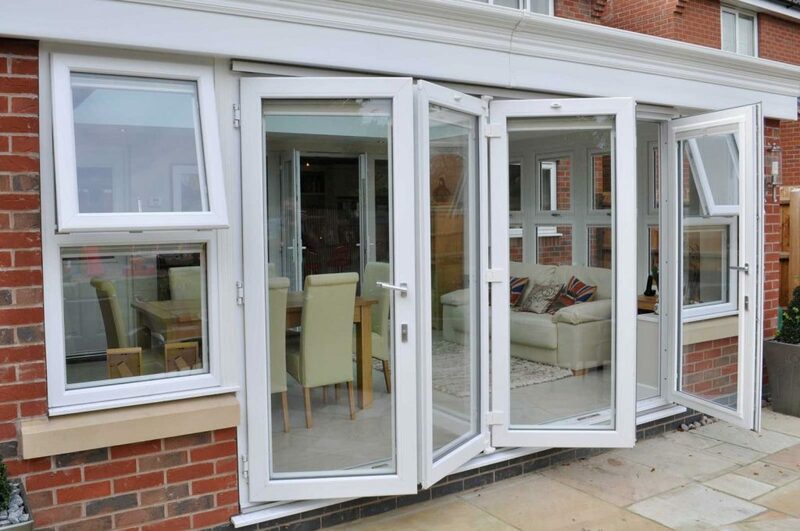 Here at Malvern Glass Home Improvements we provide the best choices for bi-fold doors in Malvern. Our bi-fold doors utilise market-leading materials and sleek designs to offer you a spectacular field of view from the comfort of your home. It’s time to enjoy your garden like you never have before. We can guarantee that your bi-fold doors are proven to be durable, resilient and long-lasting. As members of The Independent Network, organised by VEKA, all of our products are guaranteed to go above and beyond trading standards in terms of form and functionality. We want to give all customers the best quality, for the best prices. All of our bi-fold doors are optimised for thermal efficiency and home security. Comfort, both for your home and your peace of mind, is important to us. As such, we have chosen the most effective designs and profiles for our bi-fold doors to ensure that you get all around warmth and security, all year round. 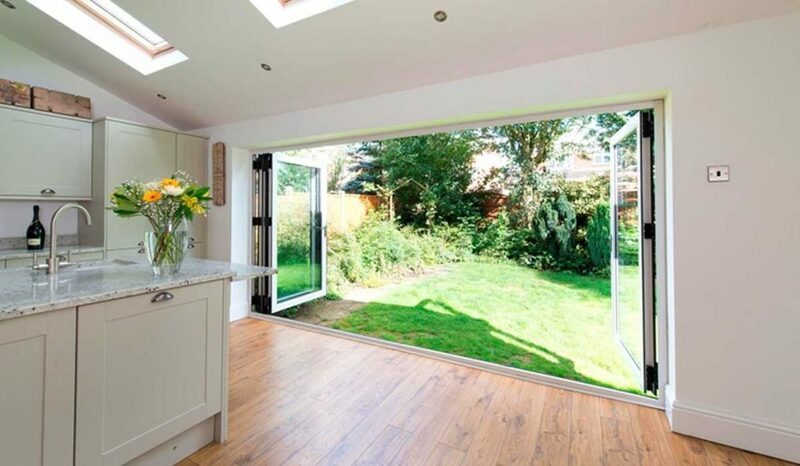 Our uPVC bi-fold doors combine a modern, spacious look with outstanding functionality. The multi-paneled design folds away neatly within a single smooth motion. With nineteen door configurations to choose from, you can have your door open exactly how you want it to, with minimum fuss or effort. We have chosen only the best, VEKA tested uPVC materials for our bi-fold doors. Not only are our products tested to ensure top quality functionality, but are proven to be strong and durable under hard conditions. We want you to make an investment in your beautiful bi-fold doors, and as such, we have ensured that our product is built to last whatever time or nature may throw its way. Using a market-leading smart aluminium profile, our aluminium bi-fold doors are designed to be sleek, strong, and allow you to create a seamless connection to your garden. The only aluminium we use in our bi-fold doors has been rigorously tested under harsh conditions. That way, we can match the top-quality design and appearance, with an equally durable and long-lasting material. Our aluminium bi-folds are slim and precise, allowing you to experience the most natural light without reducing sight of your garden. We also install a steel roller glider system to provide the sashes with optimum balance and accessibility. The low threshold and lightweight nature of our bi-fold frames make this a welcome addition to any home in Malvern. Installing a bi-fold door into your home can be a big step for homeowners, who want to open up a gorgeous view whilst keeping their safety and home comfort intact. 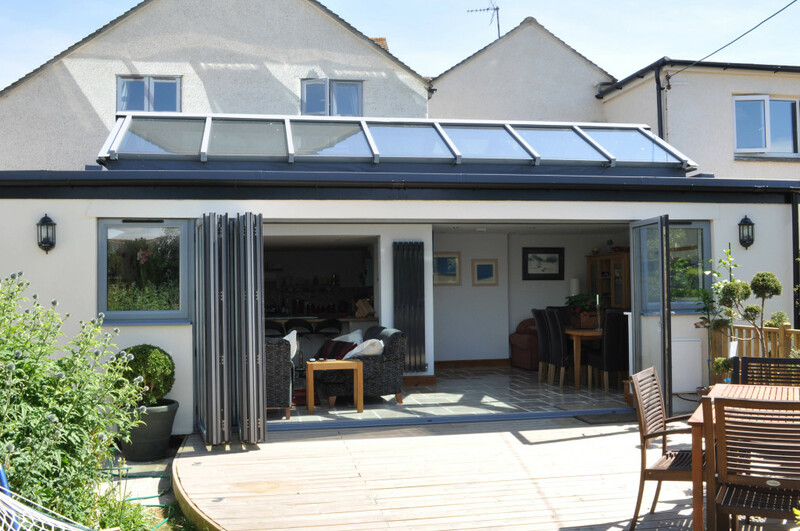 Thankfully, Malvern Glass Home Improvements values these things as much as you, and have done our utmost to ensure our bi-fold doors are thermally efficient and secure. Both our uPVC and Aluminium bi-fold doors are created to keep your home a constant temperature, no matter the time of year. The uPVC bi-fold door utilises a spacer bar to keep the heat locked in, and our aluminium bi-fold door has a thermal break integrated into its profile. Both methods are highly efficient, and allow you to enjoy the benefits of good insulation and natural light within your home. Both of our bi-fold doors are fully equipped with high-quality security mechanisms to make sure your interior remains secure. Our bi-fold doors meet the standards established by the police organised initiative Secured by Design, utilising multi-point locks for optimum security. There is also the option to add a key lock to your bi-fold doors, which blends easily into the slender style, giving you security without affecting your overall look. You can rest easy knowing that your new doors will provide that extra layer of safety for you and your loved ones. We want you to have the bi-fold door that suits your style. As such, we have a large selection of colours and handle designs for you to choose from. We invite you to customise your bi-fold door, to ensure that you get your ideal door in looks and in function. As we mentioned earlier, aluminium and uPVC are both extremely strong materials. Neither of them are susceptible to damage due to heat or cold. As a result, they can be out in the sun, rain, or frost. However, they will not break, crack, or buckle. The best part is, their colour is as durable as their body. Unlike pigment paints, this colour doesn’t peel or flake. It does not even fade with time. Our bi-fold doors will last you years, without any breakdown in performance. These light-weight yet hard-working doors will continue to perform long after wooden doors have given up. We want you to get your choice of bi-fold door as fast and affordably as possible. To make sure we do this, we offer our customers competitive rates on both our aluminium and uPVC bi-fold doors. To get your initial quote today, just use our online quoting engine. With a simple click of a button, you can get yourself a quote that is made with your specific needs and wants in mind. It is free, easy to use, and will get you started without a hassle. If you need any more assistance, you can always contact us via our online contact form. Our team is eager to help you out with any questions or queries that you may have in mind.